Free high resolution photo of a steep sandstone slab rock face. This picture shows a very steep hill comprised of slabs of sandstone rocks. 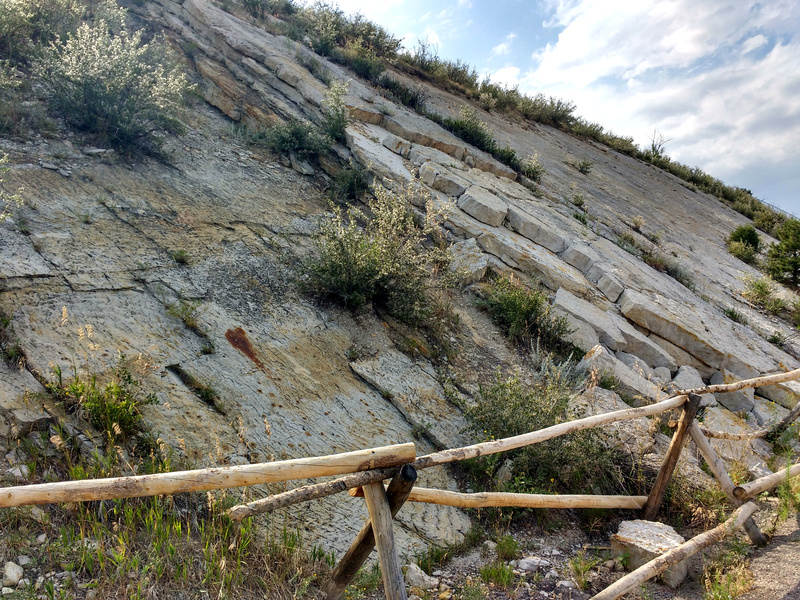 You can see the layers of rocks at a very steep angle indication geologic uplift. At the foot of the hill is a crude wooden fence. There are grasses, shrubs and other bits of vegetation poking out from between the slabs of rock. Sandstone is a sedimentary rock. This photo was taken at Dinosaur Ridge near Morrison, Colorado. Free image for any use.